It’s easy to get caught up in the big box store hype of Black Friday this time of year. Between the sales and the massive marketing efforts, it’s nearly impossible to escape. But here at Annmarie Skin Care, we’re making the case for you to support local artisans and shopkeepers as you do your holiday shopping this year. We would be remiss to not call out a few small businesses that we love to support this Small Business Saturday. Our Mask Treatment Bowl is created by a local pottery artist here in Berkeley. Kiyomi Koide has been crafting with clay professionally since 2005, and has created the most beautiful handmade masking bowls for us. You can read more about her small business and her process here. Our office in Berkeley is beautified with living walls, courtesy of Planted Design. This woman-owned small business creates custom, sustainable moss walls, bringing vibrant, green designs indoors. You can read more about her work for Annmarie Skin Care here! And speaking of our office in Berkeley, all of us here at Annmarie Skin Care HQ are powered by local cold-pressed juice company, Happy Moose Juice. It doesn’t get much more local than this small business, that sources organic produce from California farmers. These are just three (of many!) reasons why we implore you to support small businesses as you do your holiday shopping this year. Think local! When you buy from a small business, your dollars are going to another human being, not a huge corporation. For small business owners, your patronage is quite literally what keeps their doors open and the lights on. Big retailers have corporate funding and parent companies to fall back on—small businesses don’t. The impact of supporting a small biz goes a long way—alot further than when you support a corporation. Not to mention, small businesses are often far more transparent with their business practices and it’s not hard to see where your money goes. Shopping locally and small is sustainable in a number of ways. When you make purchases in-person, you’re cutting down on the unnecessary packaging and fuel used in online shopping. Furthermore, small companies usually use far more sustainable methods of production to create their products. 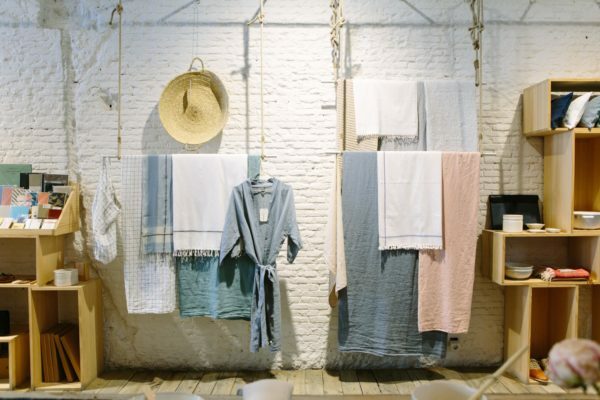 They are typically sourcing materials and goods locally as well, and bringing ethical business practices to the forefront. The impact of supporting local makers on your community is profound, in several different ways! First and foremost, by giving your money to a local business, your tax dollars will stay in your community. But aside from the very tangible interpretation, small businesses are often cornerstones of communities—places where people can gather, host workshops, and community meetings. You are helping strengthen and create your community’s culture! What small businesses do you support? Let us know below!